When you’re playing, you can’t very well pause the game and talk on your phone, especially when you’re in a call with your teammates. This is the case for just about any other multiplayer game as well. Plantronics must have seen our woes, and decided to make a headset that would take care of this and many other issues. It is called RIG, which is a headset and mixer combination that will work with your Xbox 360, PS3, PC, Mac, and mobile devices. This allows you to seamlessly move from one device to the other with a single touch. You can take a call or adjust your music volume to your liking in the middle of a game. 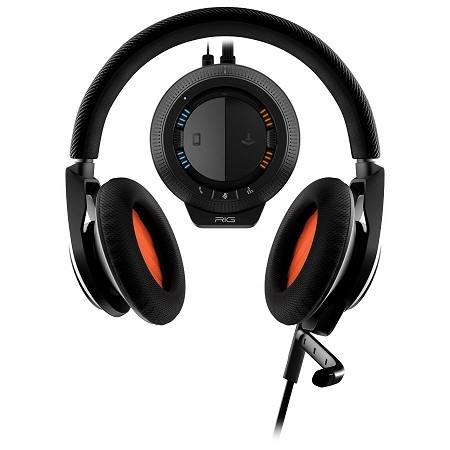 It has an inline mic as well as a detachable boom for on-the-go jamming or stationary game time. This is great for those of us who like to have a lot of different devices handy, and don’t want to have to stop and make a shift to change between them. This will cost you around $130, and seems like it might be worth the expense.